“I found this site a few months ago when I started to research why I felt so discontented with New Zealand. 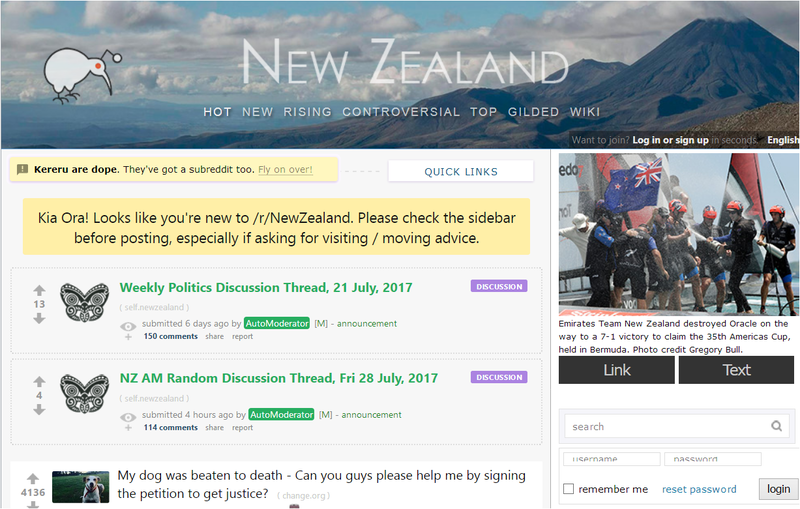 I found some relief when I found EE, just knowing there were people out there who felt the same about NZ as me was great! I have now realized that the vast majority of kiwis are extremely delusional and ignorant of the truth and will defend their views on this illusionary utopia with the righteous frenzy of a brainwashed cult member! 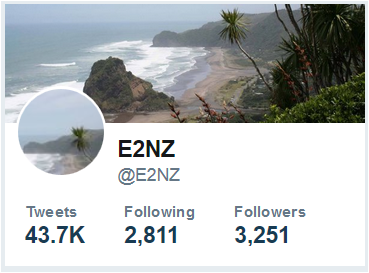 For quite a while I had shared my views on NZ with my family, backing up my views with stats and facts from various places but got laughed off and told to grow up and realize just how good I have got it. I showed this site to my father once and he scoffed at what was being said and told me it was just typical whinging Yanks and Poms! That would be the typical response from most kiwis, there is no hope! I have a great interest in history, folk lore, mythology, art and design and so NZ for me is a beautiful yet soulless “paradise” being devoid of any real culture or tradition. I am told that once I travel I will see just how much of a paradise NZ is, yet the reason I want to get away is to see and experience all that NZ is missing. It would seem that most kiwis just need fresh air and sunshine to be happy….blissful ignorance and lack of curiosity or ambition I suppose. I need so much more, this place is slowly destroying my soul! From an early age I didn’t conform to the “kiwi way”, I was more interested in academic pursuits instead of sport which was a huge disappointment to my parents and furthermore I hated rugby which was an embarrassment and source of shame! I saw rugby on TV when I was young and remember players being taken off the field on stretchers with blood all over their faces, broken teeth and more and then people were surprised I didn’t want to play it! Why anyone would want their child to play rugby I will never know, what kind of developed country has a culture almost entirely based around a sport where brain damage, broken necks, backs and facial disfigurement is a common occurrence anyway! Non conformity to the “kiwi way” led to my school years being a tortuous hell of constant and relentless bullying, leaving me with depression and social anxiety! The schools would rather tolerate and turn a blind eye to bullying at the cost of students emotional states rather than attract bad attention or a bullying flag on their ERO report. There was nothing I could do other than endure the torment, this went on for around 10 years starting in primary school right until leaving secondary school. It is a sad fact that bullying is part of the school experience here and serves as a baptism of fire for future life in New Zealand. I have always been interested in other countries, cultures and races but this interest feels like a guilty shameful pleasure which I feel very embarrassed about sharing with family and friends. I know I shouldn’t feel guilty or embarrassed but it seems to be a natural reaction after all the racist and xenophobic conditioning kiwi society puts us through. It’s the cult of the outdoors that I hate. Once in awhile ok but they worship outdoor sports, it’s like they can’t even stand being inside at all, may of them. If you are a museums and bookshops kind of person, this is NOT your “lifestyle”! “The greatest fear for young New Zealanders is the prospect of living in a city apartment, a United Nations survey has found. All the problems they have in this country, and living inside a city apt is their worst fear? I read this and realized why I couldn’t understand the culture. An unending camping trip is not my idea of life. For some outdoor sports enthusiasts or hippies, maybe it is. Shocked….shocked, I tell you! Doesn’t sound familiar in the least. With all this talk about “social media” and “be part of the conversation” I see some New Zealand companies still don’t “get it”. Instead of providing crappy services, or even still make their services better by listening to feedback provided by their (ex) customers they instead decide to go and threat with a defamation lawsuit anyone who dares point out their low quality services. They’ll have to go a lot further than keep on relying on the scenery and lifestyle to attract people. Both of which quickly wear thin, even Kiwis are seeing through it. People need good quality jobs, decent salaries, high quality affordable accommodation and a stable future for their kids if they’re going to stay in New Zealand. Until that happens (if ever) the exodus to other countries will continue. The cargo cult in New Zealand is alive and well. They think that if they can import people with skills and money, that New Zealand will attain the status in the world that its people wish it to have. Their obligation to the welfare of these plasma donors goes no farther than sucking them in. A friend noted that simple people will do things such as paint dollar bills on their cars to “attract fortune”. magical Thinking. It is barely different from that.